Making smart debt choices is the best way for us to learn our lessons after the last recession. While some think that the ideal solution is to completely eliminate debt from our lives, this is not always the best scenario for everyone. For most Americans, we still need the financial boost that debt can provide in order for us to propel our wealth to greater heights. 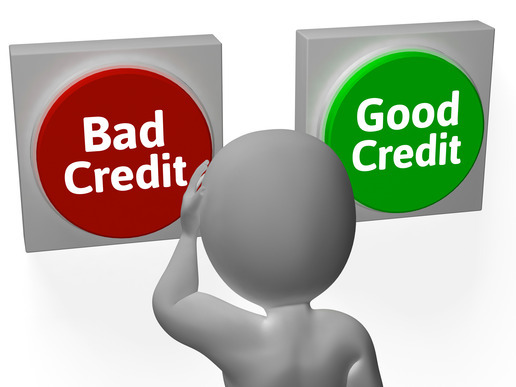 We have mentioned it again and again – the concept of credit is not really the problem. It is our inability to implement proper credit management that put us through financial hell in the past few years. According to Bloomberg.com, consumer debt in the last quarter declined for the first time in the past 12 months. This is caused by the decrease in new mortgage loans that is at its lowest since 2000. The data coming from the Federal Reserve Bank of New York mentioned that the household debt of Americans dipped by 0.2%. This is equivalent to $18 billion. That means from January to March, consumers were able to put the total consumer debt to $11.63 trillion. It is still a big amount but at least it is going down. The only loans that are increasing at this moment are the student loans and auto loans. These data does not really show if we are making smart debt choices already. While the American debt crisis is improving, it is definitely far from over. We need to continue pursuing better financial and credit management habits, lest we fall into the same debt pit – or more accurately, dig ourselves deeper into the one we are currently in. Since debt elimination is not the solution to improve our financial situation, it is obvious that we need to make sure that we can making smart debt moves instead. A lot of people are still skeptical as to whether there is such a thing as good debt. Believe it or not, there is. It might be tough to consider debt as a good one because we have gone through so much trouble because of it. But like what we said, debt itself is not the problem. It is the consumer habits behind that debt that led to our financial crisis. If you believe that there is such a thing as a good debt, how can you ensure that you are choosing the right one? How does one determine if they are getting a smart debt choice or not? There are two important questions that you need to answer. Is the need for debt temporary or is it a permanent requirement for your lifestyle? This is the first question that you need to ask yourself. What is this debt being used for? When your debt is only a temporary need that will help you improve your lifestyle, then that can be considered as a good credit investment. But if this particular credit is something that you will need to make every now and then to support a lifestyle upgrade, then this is clearly a bad debt. Going through with this loan is not a smart debt decision. For instance, if you are getting the loan to finance a home that you want to buy, that can be considered as a good debt – as long as you are borrowing an amount that you can afford to pay off. But if you are borrowing money to finance a luxury car and you need to keep on using your credit card to finance the gas and maintenance costs, then that is not a good debt. It is just like making a business loan. This type of debt can go both ways. If your business loan is a one time loan that will help you make profit, then that is a good debt. But if you are forced to keep on borrowing money to pay for the overhead expenses of the company, then this is already a bad debt. You need to reconsider your business before you take on more debt for it. Make sure that the debt that you will borrow has a timeline. If you can see an end to your debt payments, then that is credit that you can take. But if there is no definite end to the debt payment, then you may want to rethink the need for that loan. Will reason for the debt be worth the time and amount it will take to pay it back? Debt, when you let it grow is powerful enough to control what your future will be like. You do not want it to have this power over your life. So before you take on that mortgage or that student loan, ask yourself first: will homeownership be worth being in debt for the next 30 years? Can you live with the thought that for 3 decades, your lender will be getting a portion of your income? For that luxury car, do you think driving in a flashy vehicle is worth making your creditors rich? After all, the interest rate you will be adding to the amount you borrowed is making banks and lenders rich. According to an article published on TIME.com, 5 years after the Great Recession, banks are reaping in record profits. The report coming from Wall Street Journal revealed that banks earned $40.24 billion from April to June of 2014. The data also revealed that the profits of these banks are not coming from trading – but more on the interest of the loans they are distributing to the consumers. Both commercial and consumer lending rose by 13% and 6% respectively. If you want to pass on your hard earned income to the bank via the interest of your loan, then go ahead with the debt. But if not, then you may want to find more reason to make your debt more worthwhile. Answer these two questions and you should be able to identify if you are making a smart debt choice. Debt will always be one of the major financial decisions that you have to make – regardless of the amount. Do not belittle the small credit purchases you make through your credit card because that will accumulate over time. To help you make the right decision, here are some tips that you can follow. Know your current finances first. It is important for you to understand just how strong your financial situation is. Make sure that your money can sustain the additional burden that this new loan will bring to your budget. Strike a balance between your current and future finances. More accurately, you want to balance your financial situation today against a conservative expectation of your future earnings. It is not right that you only consider your present income. What if your future income decreases? How can you afford to pay it off? According to the Report on the Economic Well-Beaing of US Households released by the FederalReserve.gov in the, 16% of the participants expected their income to decline. If this is the same as your sentiment, make sure you will not maximize the amount of money that you will borrow if it is based on your current income. Create a payment plan. The only way for you to determine if you can afford to pay off your debt is by creating a payment plan. Before you proceed with the loan, check if the payment plan is something that you can live with. Make sure you are getting a good debt. The last tip that we have for you to make a smart debt move is to answer the two questions mentioned above. If the debt is only temporary and you think it is worth it, then what you are about to borrow is a good debt.